Call the Devonshire Park expert / specialist realtor today! SS 5/16 OTP 5/21 NEW HOUSE..NO GST...NO IMPACT FEE!! The Broadview 3! Supersized! Stunning 3 bedroom 3.5 bathroom family home built to perfection & located close to desirable schools. Open the door to 9ft ceilings and an abundance of natural light. The spacious kitchen boasts a walk through pantry & generous island, & the main floor plan is a well thought out open concept, complimented with lovely oak character features. Main floor laundry, a separate dining room & attached double garage make this gorgeous family home perfect for entertaining & functional for family living. Upstairs features a large master bedroom with luxury en suite, two further bedrooms with dual aspect windows, a further full bathroom & a beautiful loft space. 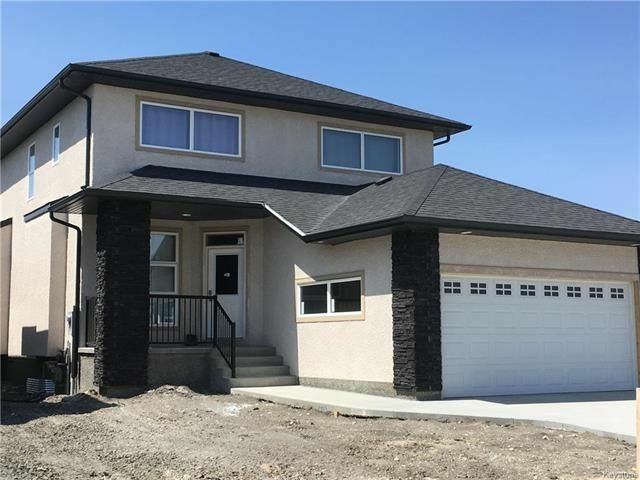 It also features a finished basement with a separate bedroom & full bathroom, triple glazing throughout, a state of the art security system, stainless steel appliances, and central A/C. Minutes from amenities and walking distance to parks, playgrounds & bicycle trail. Call the Devonshire expert / specialist realtor today!